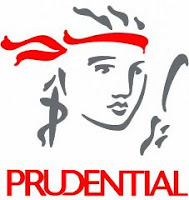 PT Prudential Life Assurance (Prudential Indonesia) is a subsidiary of Prudential plc, a leading financial services group based in London, United Kingdom. As at 31 December 2008, Prudential Indonesia has 7 sales offices throughout Indonesia, serving more than 720.000 customers. Join us as a full time staff and support in the long-term growth of our business in Indonesia. Responsible to provide training & education programs to agency forces (agents level) with the ultimate goals of improving productivity and quality. To implement the execution of Prudential Training & Education Programs as per company standard for all Agency Force, especially in the beginner to advance agent level as well as prospective agency leaders. Preferably specializing in Training & Development or equivalent. Job role in Training & Development or equivalent. Receive and follow up inquires from customers. Bachelor degree in any major. Fresh Graduate are welcome to apply. Handling inquiries from walk in customers and potential customers with courtesy, accurate and correct based on SOP, Company regulations and procedure. Send a complete resume in English, together with recent photograph to: career@prudential.co.id For more info about Prudential career please click www.prudential.co.id. For detailed information, please refer official source following link below.